Taekkyon & Hapkido Sydney | Martial art in Artarmon, North Shore, Sydney | Korean Martial Arts | Chatswood martial art | Willoughby martial art. Taekkyon martial art & Hapkido. Taekkyon is a martial art which is known for kicking & tripping the opponent over. Its fast high and low kicks are similar, yet different to other martial arts. As well as kicking, & tripping, a Taekgyeon practitioner aims to throw or wrestle the opponent. There are also techniques used to block and trap the arms and legs of an opponent who attempts to puch or kick. The hands and feet are always applied together. 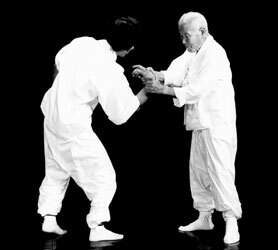 Applying a hand and a foot simultaneoesly, unbalances, trips, or throws an opponent. 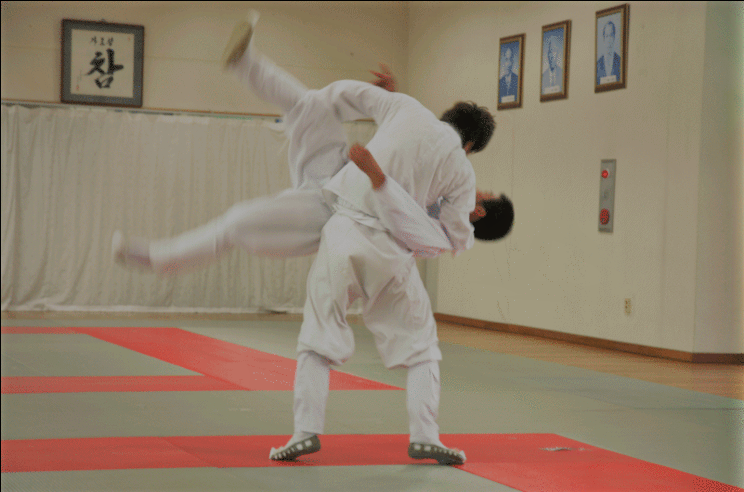 In summation, Taekkyon is specialised in foot sweeps, leg hooking, tripping, low and high multiple kicks, and throwing. That is why Taekkyon was considered unique more than one century ago and was described as, "The one hundred amazing flying leg techniques - 百技神通飛脚術". Taekkyon is a traditional Korean martial art, which in 2011 was recognised by Unesco, of the United Nations, as an intangible cultural assest worth protecting. Below are the main techniques of the Taekkyon martial art. Teakkyon stance and foot placement is unique. It is a very strong stance and is adaptive to changing situations as the feet are always moving. Due to this, defence and attack are made easier. It is dissimilar to that of other Korean martial arts of Taekwondo & Hapkido. Tripping and locking of the legs, is applied with kicking or wrestling. Taekkyon kicks are similar, yet different to those of other martial arts such as Taekwondo, Hapkido, Karate, and so on. The hands move constantly in a circular motion. Due to this, it is easier for the hands to enage in offensive & defensive techniques with an opponent. The rotating arms are adaptive to changing situations during an encounter. Taekkyon wrestling has some unique techniques, including tripping, locking, & hooking of the legs. 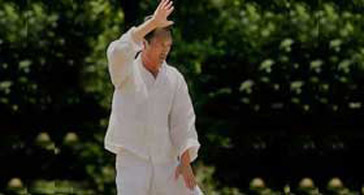 Taekkyon strikes involve hand and palm techniques. Some are circular and some are direct strikes. When performing Taekkyon, the feet and hands are applied simultaniously. This breaks the opponent's balance. 65 Dickson Ave, Artarmon, NSW, Australia.